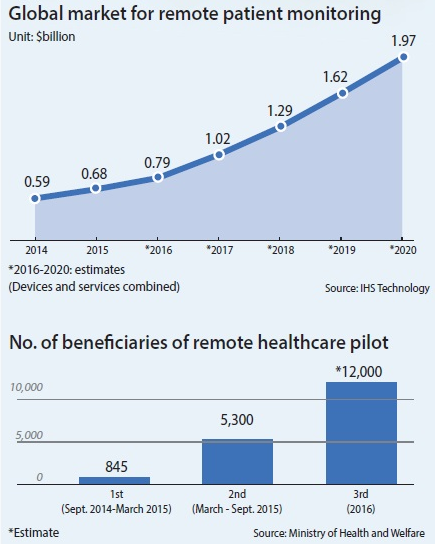 As reported today in The Korea Joongang Daily, regulations continue to hamper the development of smart health care, despite this nation's world-leading broadband networks. 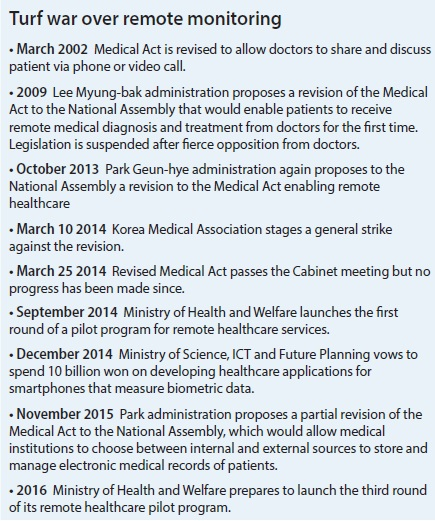 The article cited SK Telecom's exhibit at the 2012 Yeosu Exhibition and quoted a manager at SK Telecom who requested anonymity as saying that “Zero progress has been made on the smart health platform since we showcased it at the Yeosu Expo.There is nothing we, as an IT company, can do about it because the law prohibiting remote diagnosis and treatment of patients remains unchanged. What’s 100 percent certain, though, is that the health care field is a land of infinite opportunity for the IT industry.” The article also noted that "Under Article 34 of the Medical Act, doctors, dentists and Oriental medicine doctors are allowed to discuss with their patients and share treatment options with other doctors via phone or video, but they must diagnose and treat patients in person." But the efforts were immediately protested by the Korean Medical Association, an interest group representing doctors nationwide. 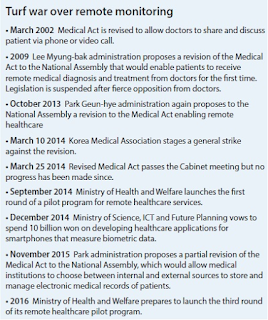 Medical practitioners in Korea are notoriously protective of their turf and have worked to prevent non-doctors from gaining the ability to make even the simplest medical diagnoses. Every time the Health Ministry proposed revisions to the Medical Act over the last 14 years, doctors nationwide have gone on strike or threatened to do so, which has killed the efforts. Within the association, different doctors cite different reasons for their opposition to smart health care depending on their own practice. The most frequently cited reason, though, is that senior citizens are at risk of mishandling medical equipment, which could lead to potentially severe accidents. Some also point to privacy concerns raised by sharing medical information remotely. 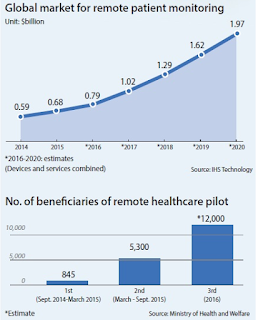 “Health care via smartphones and connected devices wreaks havoc on the security of patients’ personal information - an extremely sensitive matter among Koreans,” the association said in a statement."